LAS VEGAS – Brett Hall isn’t one to get too excited about things, but he’s sure fired up about what’s going to happen during the Bullfighters Only Las Vegas Championship. “This will probably be the best pen of bulls I’ve ever hauled anywhere,” said Hall, co-owner of Rockin’ B & Magnifica Fighting Bulls. He’ll see all of his top bulls in action during the marathon championship, each day at 2 p.m. Dec. 6-15 at Tropicana Las Vegas. Rockin’ B & Magnifica is the BFO’s reigning Stock Contractor of the Year and will have more than two dozen bulls as a part of the event. That’s a lot, but still only a quarter of the bull power that will do battle in Sin City over the 10 days. The 10-day championship kicks off on Thursday afternoon with the Roughy Cup, BFO’s original event, and will be broadcast live on the Wrangler Network. There will be a wide array of bulls that will be in the mix, so setting up each round with bulls of similar caliber ensures that the fights are as evenly matched as possible. Manuel Costa’s Sid Vicious, the reigning BFO Bull of the Year, is a contender to repeat in 2018. Costa knows he has some special animals in his herd. “I’ve seen the names of the bullfighters that are coming, and they’re not afraid to fight any of these bulls,” he said, noting that he will have between 30-40 bulls in Las Vegas. “We’re very honored to have as many bulls as we have there. It means a lot that they like what we’re doing. They believe in the bulls that we have. 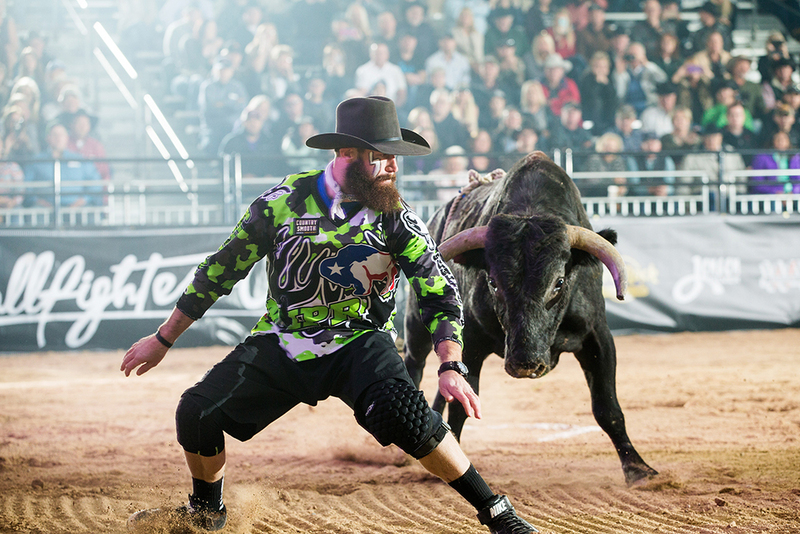 Costa and Rockin’ B & Magnifica will be two of half a dozen contractors providing bulls for the Las Vegas Championship. The BFO has sought out the top fighting bulls in the country to showcase with the best bullfighters that the sport has ever seen.